Welcome to Woof Wednesday. 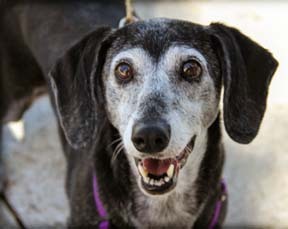 Please meet some great dogs from CA, FL, NJ, NY, PA, TX and WI all in need of good, loving homes! Joey is a tan Maltese/Westie mix. About 10 months old and around 11 lbs. 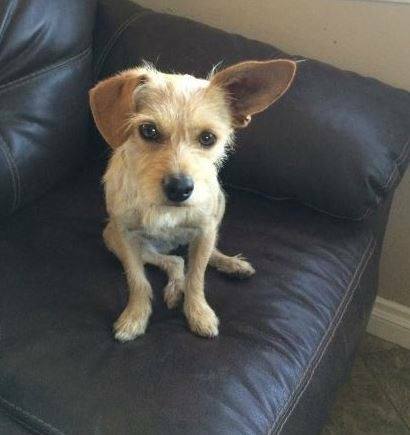 He is sweet and healthy, owner dumped him at shelter because they didn't have time for him. Please lets find him a loving home! Penny is a Jack Russell Terrier mix who is about 1 year old. She is adorable and loves everyone she meets. She is good with dogs of all sizes and ages as well as cats. She is potty trained and loves to go for walks. If you are looking for a new best friend please consider Penny. She weighs about 16 pounds and is full grown. Please lets find her a great home! Bella is a Dachshund Terrier mix. She is a very good little girl, who is about 20 pounds. She is a very young 8 years old, she loves to play with other dogs and enjoys spending time on your lap Good with children, other dogs, cats and even house trained. 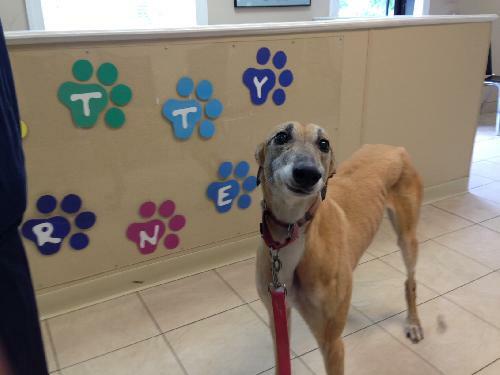 She is spayed, up to date on her vaccines and looking for a new loving home. Please lets find her a good home! Lucy is a Greyhound. She is 9 years old and greets the morning with a tail wag and quick trot to the kitchen for breakfast. Then a short, brisk walk before finding the loftiest bed for her morning nap. Treats are eagerly welcomed and Lucy is a very neat snacker, finding every morsel. The rest of the day is spent lolling in her favorite bed, always hoping for a car ride or outdoor exploration. She is curious about small dogs, critters and the feral cat. Her owners gave her up because they had children and no time for her. Lucy is shy with noisy children and large dogs, but who wouldn’t be? She enjoys her quiet time although she enjoys having her ears scratched and belly rubs. Please lets find her a loving home! 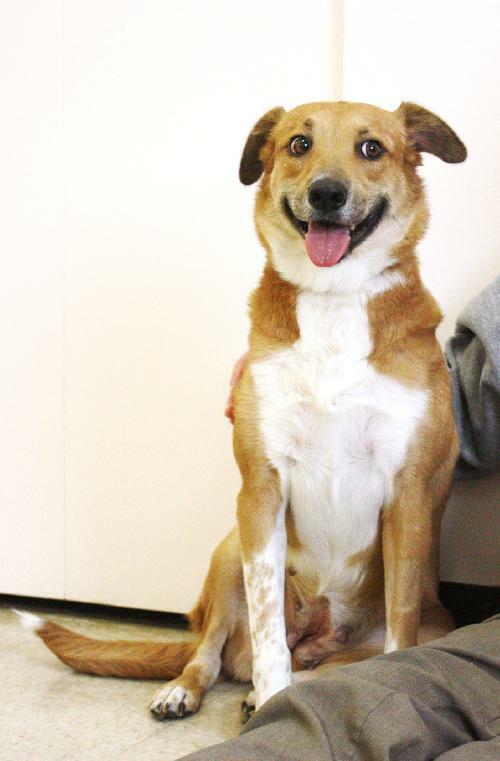 Foxy is a Hound mix who is very gentle and shy. She is a young adult who is looking for a patient and nurturing family to help her come out of her shell. This cautious pooch bonds to her caretakers, but it takes time and patience to gain her trust. Foxy is around 2 years old and she weighs about 39 pounds. She loves other dogs, and would do great in a home if she had a canine friend; kids are not recommended because she is so fearful. 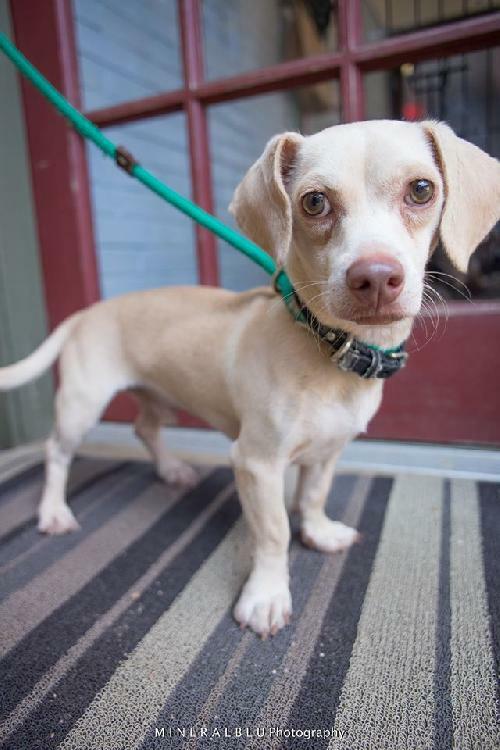 She seems to be housebroken already, but her new family will need to work hard to help her build up her confidence. Please lets find her a great home! Rusty is a Beagle. He is 8 years old and 30 lbs. He is good with children, dogs and cats. He loves people and snuggling. Rusty suffers from dry eye where the right eye only produces half the tears it should and the left being borderline. They put him on Cyclosporine drops once a day to increase the tear production. 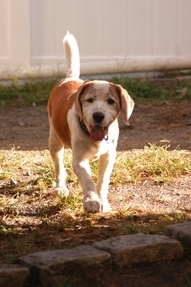 His condition has resulted in limited vision in right eye that will not return. The hope is the drops will prevent it from getting worse. He has an autoimmune disease that is non life threatening, but will require a lifetime of maintenance medication, because of this he does have allergies which are minor and under control with medication. Please lets find him a good home! Duke is a neutered Dacshund/Chihuahua mix who is around 2 yrs old and about 11 lbs. 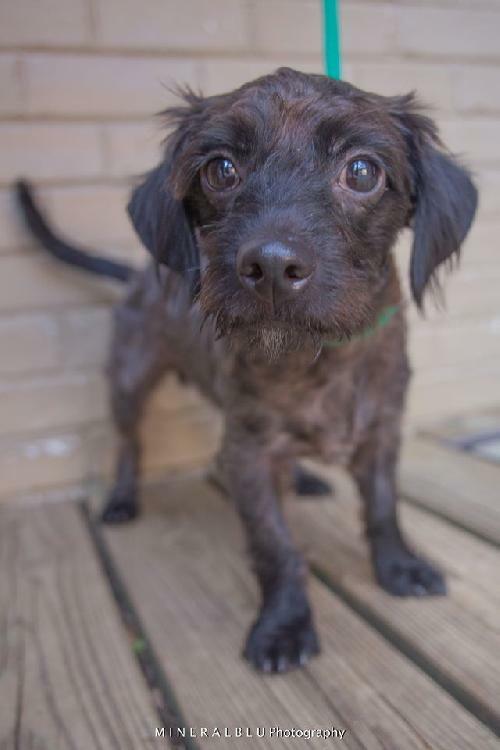 Elder is a Dachshund/Poodle mix who is around 2 yrs old and about 10 lbs. They live together with their foster family. They like rawhide chews and love to hide them strategically around the house and yard. They I play and cuddle well with each other, we sleep together at night in our kennel with no problems. 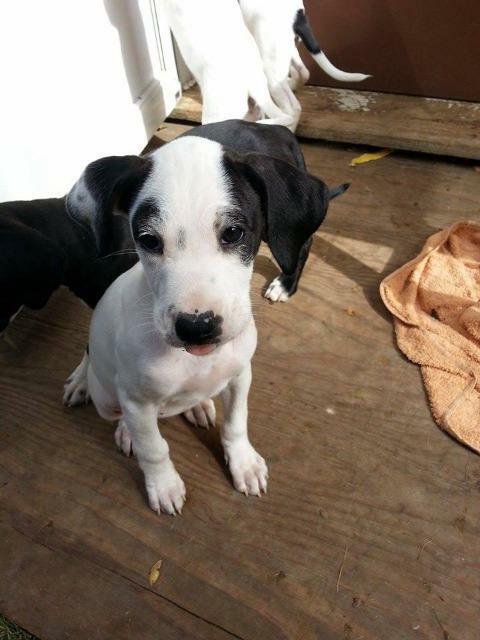 They will sit quietly next to their foster mom and let her pet them while resting head on her lap. They give kisses, too, if you make the first move. They always excited to see their foster family and follow them around. They don’t pay much attention to the cat. They am making good progress with house training as well. Duke and Elder are two sweet pups who were dumped on the rescue's Intake Coordinator's front doorstep with their paperwork from a local shelter. Adopted and now abandoned yet again. Please lets find them a loving home! Pebbles is a Boston Terrier/Cocker Spaniel puppy mix. She likes chew toys. Pebbles is doing wonderful at potty training. Pebbles is not a clingy type. She would rather play, explore or nap then cuddle. She doesn't like when her sisters try to take her spot in the bed but she will let them be and just lay over them. Please lets find her a great home!